The Jackson Academy experience is made possible for our students by the financial generosity of so many individuals and families. We are truly thankful for these who invest in the lives of young people and help provide the many programs and opportunities above what tuition can offer. With year-end quickly approaching, we wanted to remind you that donations you want to count on your 2013 income tax return must be postmarked on or before December 31. Also, please know that you may make your gift through the sale of securities. If you have any questions about year-end giving, simply contact the Jackson Academy Development Office at 601.364.5754. To make your gift online, just follow the link below. 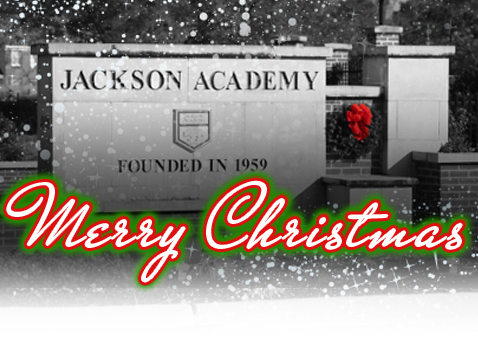 To all our Jackson Academy families, we thank you for your many gifts of time, talent, and financial support that help make JA one of the best independent schools in the Southeast. May you and yours have a blessed Christmas.